Are you looking for some fun days full of diving with turtles, meeting new friends and enjoying inspiring talks? 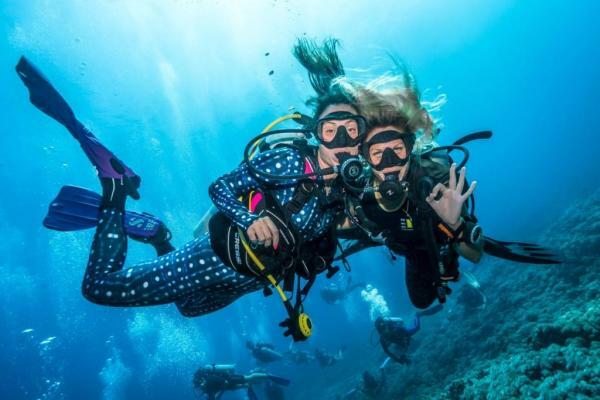 Girls that Scuba and Manta Dive Gili Trawangan invite you to join us for a fabulous Girls that scuba weekend of fun happening between the 2nd-4th May 2019! In May 2018, we had a blast during the Girls that Scuba Day on our paradise island where we had a dive with 48 girls altogether, enjoyed great parties and had tons of fun! Missed that one? No worries, we got you covered if you want to relive some of our great memories in pictures! This year, we thought that a day is not enough, so we’ve put together a whole weekend of diving activities to enjoy. Join us! Get to know each other evening! Relaxing opening dinner, accompanied with networking games. Evening charity auction where one lucky man/boy will have the chance to join on the all girls dive! All funds from the auction will be donated to the Classroom of Hope with the desire to help the children of Lombok get better education and help rebuild the community after the earthquake. The all-girls dive. We aim at gathering 80 girls to dive together! Of course they will be accompanied from the guy, who was lucky enough to win the charity auction the previous night! 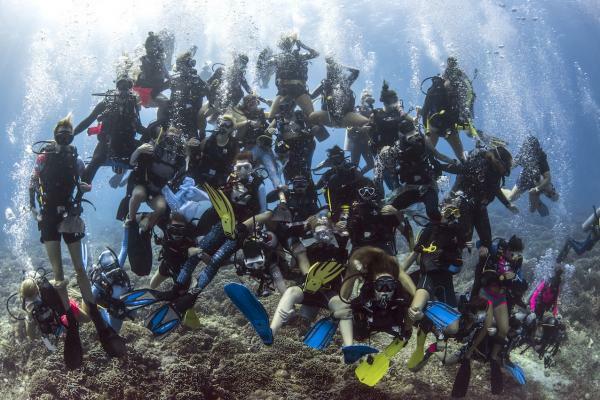 THE BIG Girls that Scuba dinner, party and raffle at Manta Dive Gili Trawangan! Are you ready? Let us help you organise your adventure in the best way!